This edited article about Thomas Carlyle originally appeared in Look and Learn issue number 977 published on 29 November 1980. An argument with that great Scottish historian Thomas Carlyle was an argument lost, for Carlyle liked his way in everything, not the least in conversation. Carlyle, who was born on 4th December, 1795, was described as a verbal bully who imposed his views on those with whom he conversed. However, with his friends his manner was in complete contrast. On these occasions he could be very quiet. When Carlyle had a visit from Alfred Lord Tennyson, the Poet Laureate, they would say “Hallo” to each other. Then would follow two hours of silence while they sat and smoked their pipes, before bidding each other goodbye. 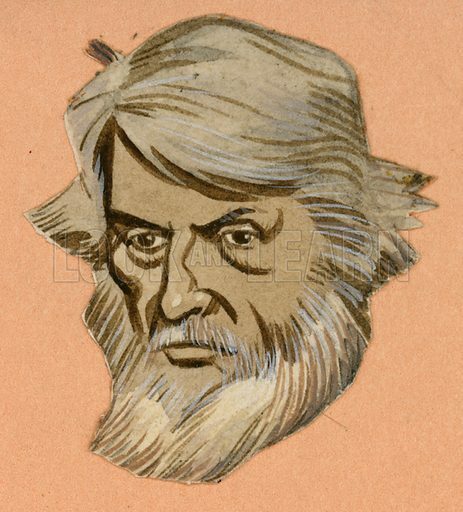 Born at Ecclefechan in Annandale, Carlyle gained fame as an essayist and was read avidly by the Victorians. His most famous work was The French Revolution, which brought him great success. Carlyle died in 1881 and although he could have been buried in Westminster Abbey, he was, in accordance with his wishes, laid to rest beside his parents at Ecclefechan.